Last weekend, I made two coconut cupcakes. 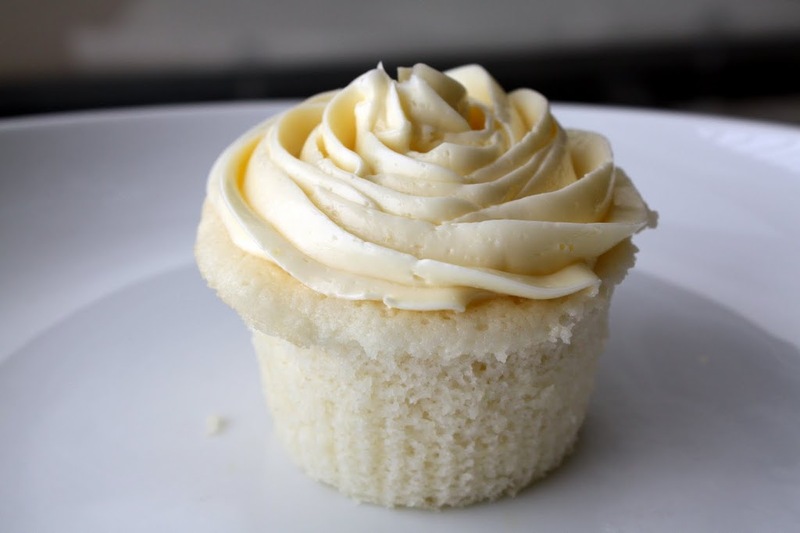 The first is a fluffy coconut cupcake (lightness achieved with whipped egg whites), with lemon curd filling, and topped with a coconut-lemon buttercream. 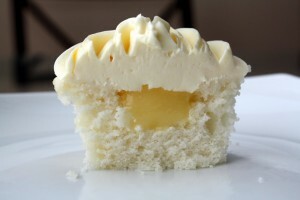 This cake recipe was taken from a Cupcake Wars episode and easily makes my favorites-list. The curd and buttercream were light and creamy, and complementary in taste and texture. 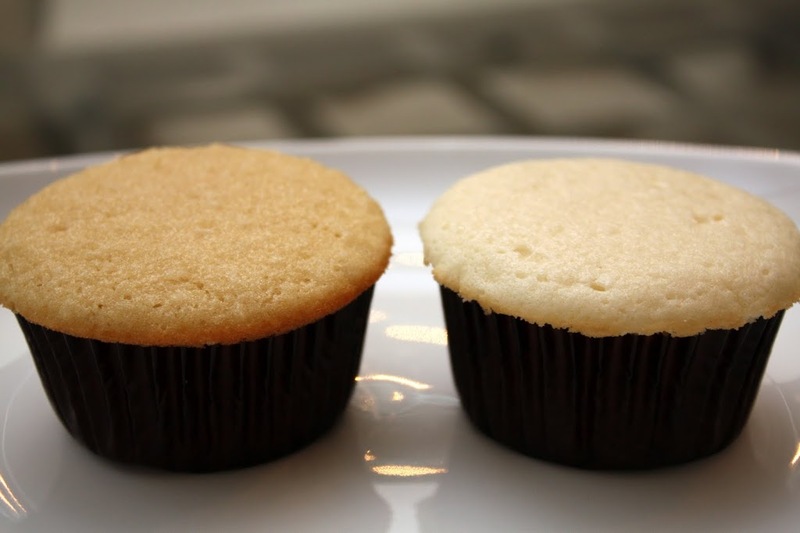 The second cupcake had a similar cake recipe, minus the whipped egg whites, and plus ground coconut. This cake (on the left) was more golden and had more texture. 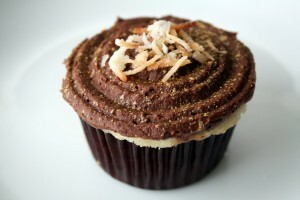 I filled it with a coconut buttercream, and topped with whipped curry ganache. Unfortunately I was a bit short on ganache, so I used a comb to create some texture and then “blinged-out” with decoration (pearlized dust and toasted coconut). The flavor combination is perhaps less conventional, but yummy and memorable. I didn’t used to be a coconut fan, but the more I explore pastries and baking, the more interesting I am finding the taste of coconut. While I don’t really like the texture of coconut flakes in my desserts, I may be a convert with respect to flavor!